Our daughter took a cupcake decorating class at our local community center and has wanted to try her hand at decorating cupcakes at home. We had some lunchtime guests coming, so today was the perfect opportunity to try. We bought a 1A piping tip, disposable icing bags, and pink paper roses from Michaels and whipped up some carrot cake cupcakes and cream cheese icing. After watching a youtube tutorial on using the 1A piping tip, she was ready to go. 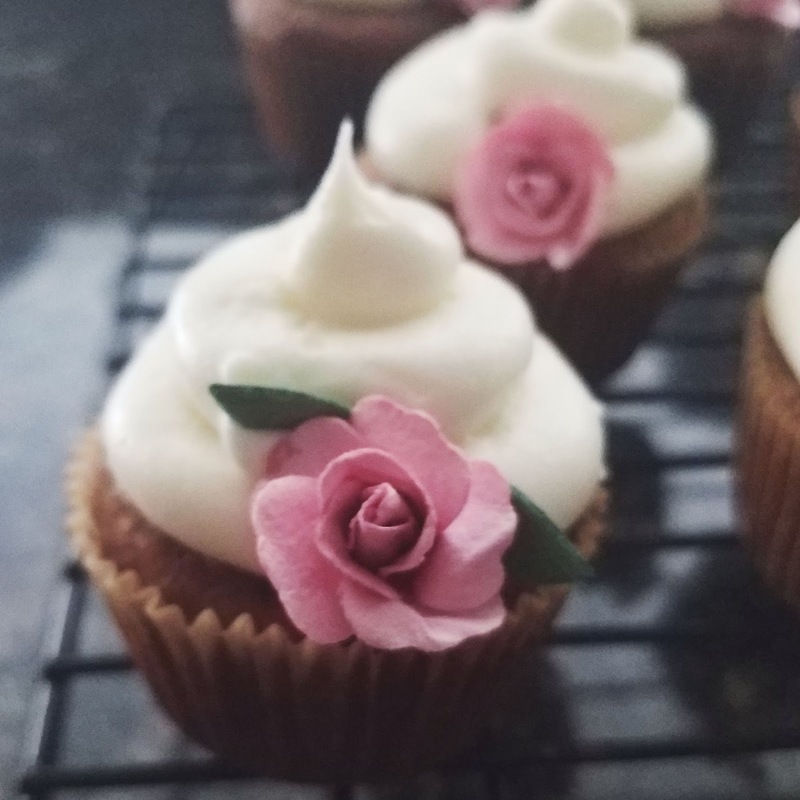 I was really impressed by how well the cupcakes turned out. They were delicious and beautiful! she is so creative!!! they are beautiful!